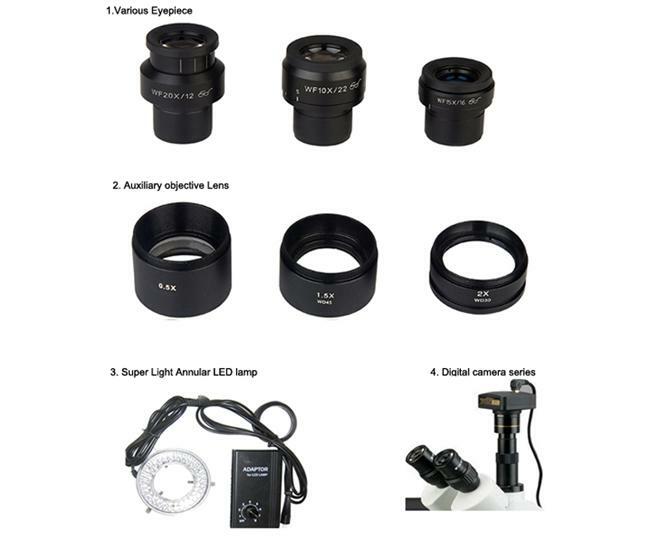 The SZM6745-STL6 series microscope on flexible arm stand adopts new optical system design, clear image field of viewing range increased dramatically, better resolution ,effectively reduce the work to make, and offers continous 6.7X-45X magnifications with and it is an ideal choice for industrial inspection, assembly, quality control, OEM integration, research and education applications requiring a higher magnification range. Flex Arm Stand designed for applications requiring extended reach and flexibilty, but does not sacrifice stability. 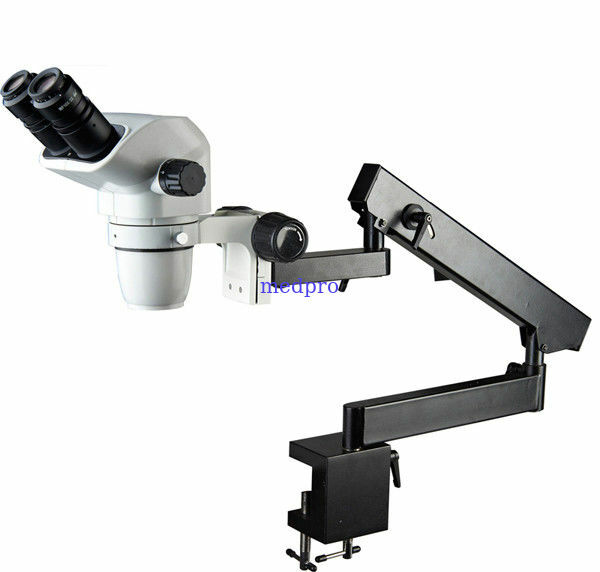 2.Articulated flexible arm with table clamp.